NEW PRICE! 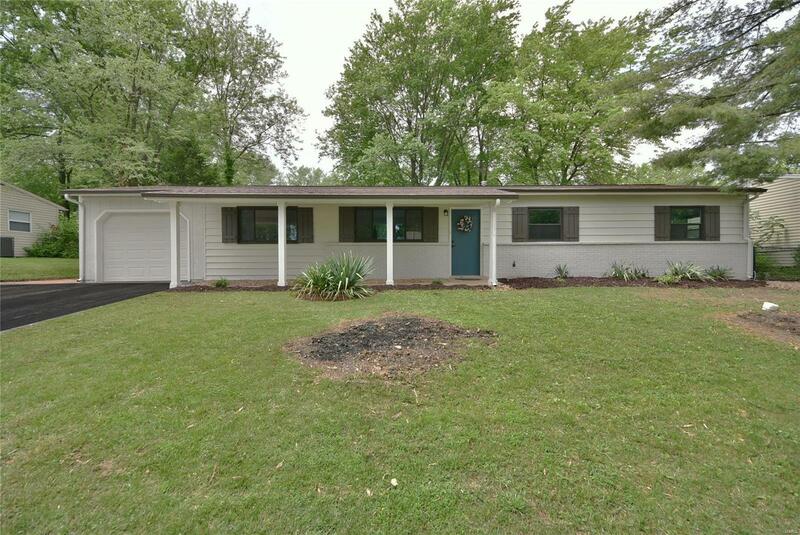 Fully Renovated, 2,000+ Sq Ft, Large Level Backyard, & Private Master Suite! Large LR & Bonus Room! This updated Ballwin 4 Bedroom Ranch home located in the Rockwood School District offers a multitude of Updates w/ Luxurious Finishes! 253 Howard Drive features a formal Dining Room & an enormous Great Room large enough for a Living Room & Breakfast Room w/ a wall of windows overlooking the large level fenced in back yard & patio. The Updated Kitchen w/ white Shaker Cabinets, Crown Molding, Premium Granite counters, SS appliances, large Coffee Bar and Pantry make cooking a dream. An additional Bonus Room great for a hobby room, playroom, den or man cave round out the living area. Time to unwind for the day, the Master Bedroom Suite features a large Walk-In Closet, Built-In shoe cabinets, completely refinished Large Master Bath w/ Double Vanity & Custom Tile! Additional features are main floor laundry, an Attached Over-Sized one car Garage as well as an outdoor Storage Shed.